2018 was another year of great generosity as the people of The Church of the Good Shepherd gave of our time, our talents and our treasures in order to serve as the Hands of Christ to a world in need. Parishioners gave $16,350 in special collections for ministries from Harvest Hope Food Bank to Hannah House, from Sistercare to the victims of natural disasters. That’s on top of the $13,500 in outreach efforts in our budget. It’s also in addition to all of the volunteer efforts we can’t put a dollar figure on: buying groceries and preparing meals for the hungry, providing personal items for the homeless, repairing the homes of the needy, shopping for school supplies and Christmas presents and Mother’s Day gifts for displaced families, and cooking, baking and donating supplies for our fundraisers. In January, we collected the final $955 of $7,000 (the rest was donated in 2017) to pay for our 2018 Lenten Day of Service with Feeding Children Everywhere. In January, the youth of the parish cooked chili and sold it for the Souper Bowl of Caring, raising $530 for Harvest Hope Food Bank. 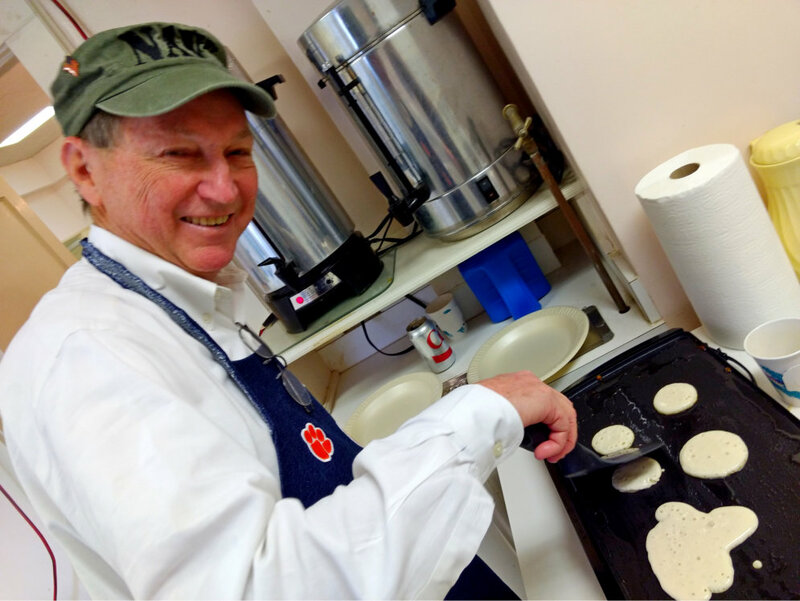 In February, the Vestry prepared a pre-Lenten Pancake Brunch that raised $350 for Harvest Hope Food Bank. In February, we sent $1,375 to Providence Presbyterian Church for the Bethany’s Gift Outreach Ministry, named in memory of our own Bethany Martin. 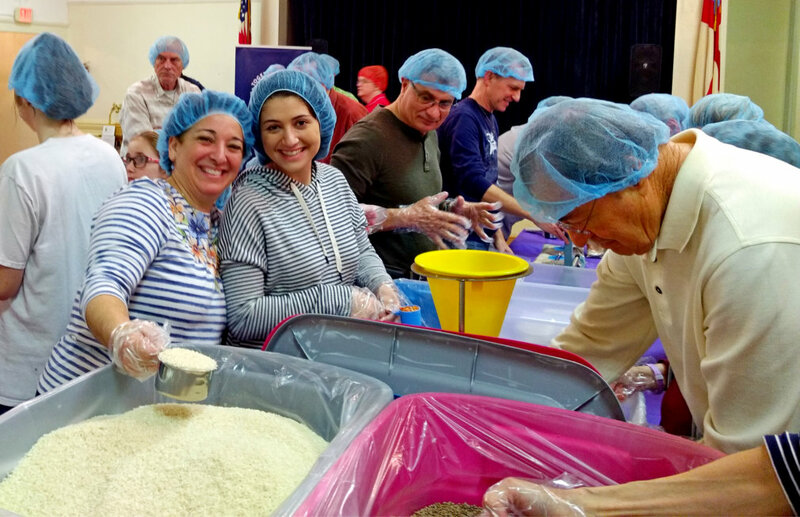 In February, 40 parishioners and 20 friends joined in our Lenten Day of Service to package 18,000 meals to feed starving children in Haiti, in partnership with Feeding Children Everywhere. In March, participants in our evening Lenten Programs gave a love offering of $445 to our speaker, Fr Thomas Moore, for local mission and ministry at Holy Apostles Church. In March, we donated $500 for worldwide ministries through the Episcopal Church Women’s spring United Thank Offering. 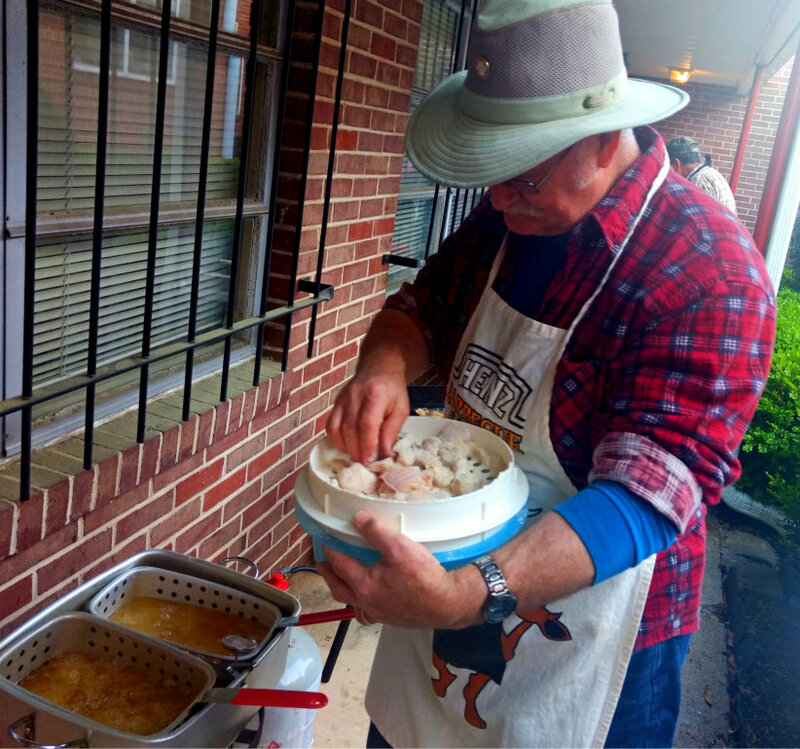 In April, volunteers donated and fried fish for our Lenten fish fry, which generated $620 to help with the costs of our annual mission work trip to Valle Crucis. Parishioners gave another $620 in designated offerings to support the work trip. In May, the members of Saint Bridget’s Guild purchased and collected Mother’s Day gifts and prepared pastries for high tea for the ladies of Hannah House. Throughout Lent, we collected our coins and filled our Mite Boxes with $1,865 to help with some much-needed repairs at Hannah House. From Mother’s Day through Father’s Day, we filled baby bottles with our pocket change, generating $850 for Birthright of Columbia. 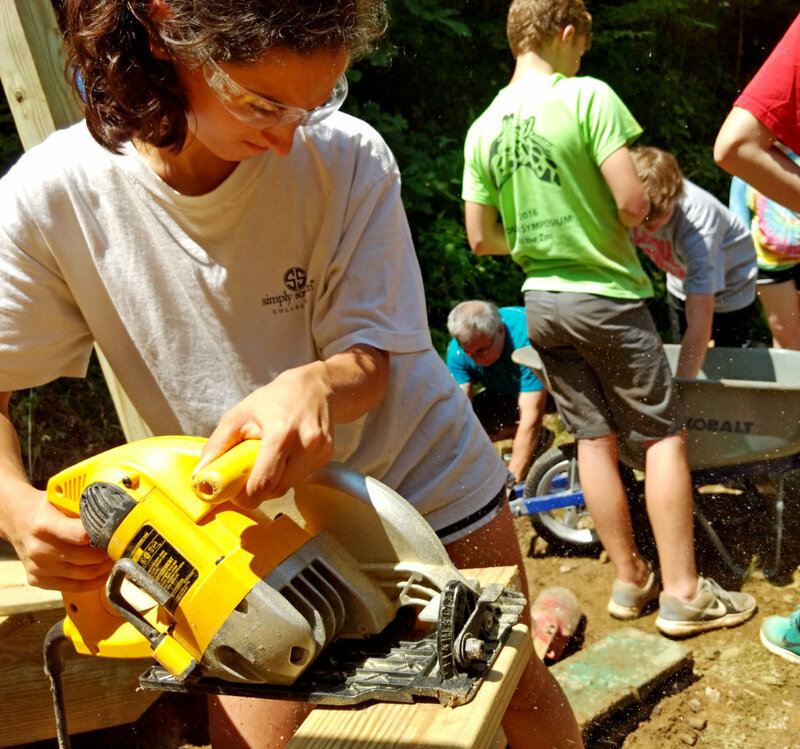 In June, seven adults and three youth donated a week of their time to help repair homes and hearts for the needy during our mission work trip to Appalachia. They also helped pay for the cost of their stay at Valle Crucis, some kicking in the full $400. In August, we contributed bags and boxes (we forgot to count how many, but it was a lot) of school supplies to the children at Hannah House and the Bair Foundation. In September, we donated $1,000 to Episcopal Relief and Development for Hurricane Florence Relief. In October, we donated another $1,000 to Episcopal Relief and Development for Hurricane Michael Relief. And in November, we donated $1,300 to Episcopal Relief and Development to help victims of the California wildfires. In November, we donated $600 for worldwide ministries through the Episcopal Church Women’s fall United Thank Offering. 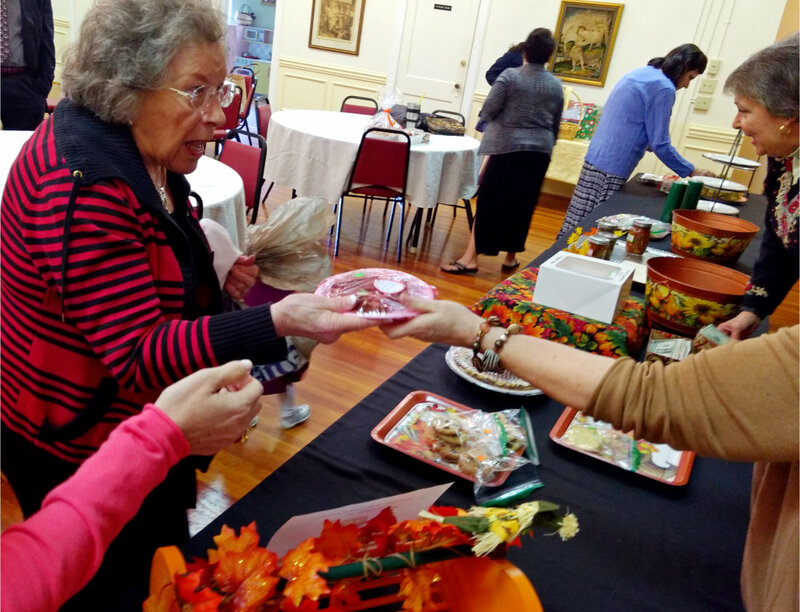 In November, volunteers baked all sorts of goodies for the Episcopal Church Women’s Holiday Bake Sale, which raised $600 for Sistercare and $100 for Fr Lyon’s discretionary fund. In November, we filled 167 Christmas Care packages with socks and shampoo and toothpaste and other personal hygiene items for the homeless. In December, members of St. Bridget’s Guild bought Christmas presents for all of the children, mothers and single women at Hannah House. In December, a dozen parishioners gathered at Finlay Park for an evening to hand out Christmas Care packages to the homeless. Throughout the year, individuals gave a total of $1,360 in designated offerings for the Salvation Army and $2,230 for Harvest Hope Food Bank. Every Sunday, we brought in aluminum cans, which were sold ($65) to benefit Heifer Project. Every month, members of St. Bridget’s Guild donated aluminum foil, trash bags, cleaning supplies and laundry detergent to Hannah House. They also facilitated donations of clothing and shoes (and Christmas decorations) from other parishioners. Every Sunday, we collected cans and cartons and jars of food for Harvest Hope Food Bank. Through our operating budget, we donated $1,000 to Seabury-Western Theological Seminary, a total of $1,400 to people who came to us in need of help and $11,100 to 12 local charities: The Cooperative Ministry, Providence Home, Harvest Hope Food Bank, Meals on Wheels, the Free Medical Clinic, Palmetto Place, Sistercare, Oliver Gospel Mission, the Salvation Army, Home Works, Hannah House and Shepherd’s Center.